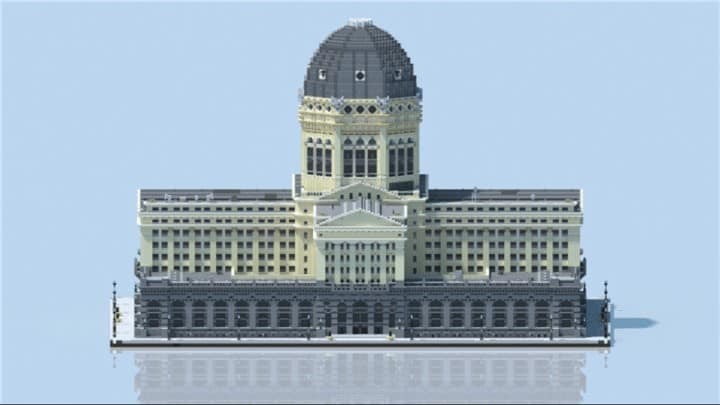 The Chicago Federal Building, once heralding one of the nation’s largest dome structures, was demolished in 1965 to be replaced by the Kluczynski Federal Building. 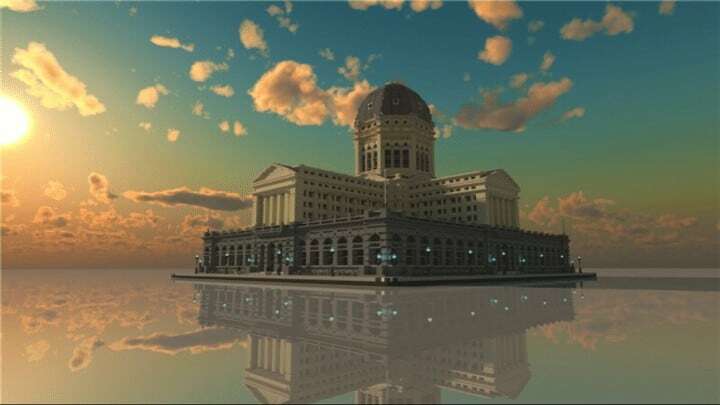 This is a 1:1 scale replica of the building in it’s former glory. 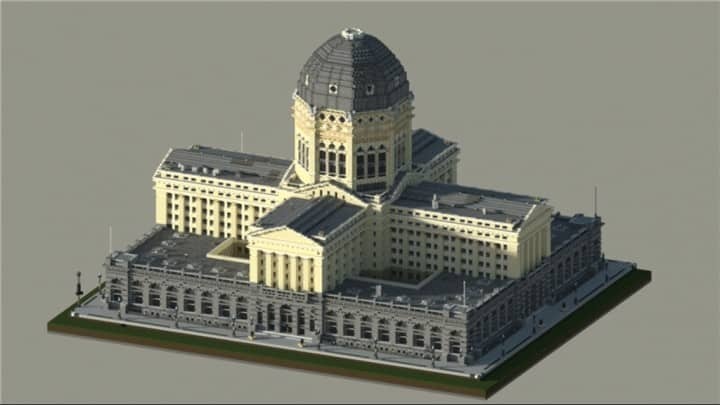 The Chicago Federal Building was constructed in the years 1898-1905, and was built for the sole purpose of housing the Midwest’s federal courts, Chicago’s post office and railway post office, or RPO, and other government bureaus. It was initially designed by Henry Ives Cobb in a Beaux-Arts style.The floor plan was a six-story Greek cross atop a two-story base with a raised basement. The building was capped by a dome at the crossing that held an additional eight floors of office space in its rotunda for a total of 16 floors. The exquisite dome extended 100 ft (30 m) above the drum and was larger than the U.S. Capitol Building’s dome. – Walt Disney (The creator of Mickey Mouse and other notable cartoons) worked at the post office in the building from July until September 1918. – Famous Gangster Al Capone was sentenced to 10 years in federal prison and fined $50,000 in this building. – Over the course of the building’s sixty year history, there was one bombing in the building and a bomb found that almost went off. The bomb that went off injured over seventy and killed four people. 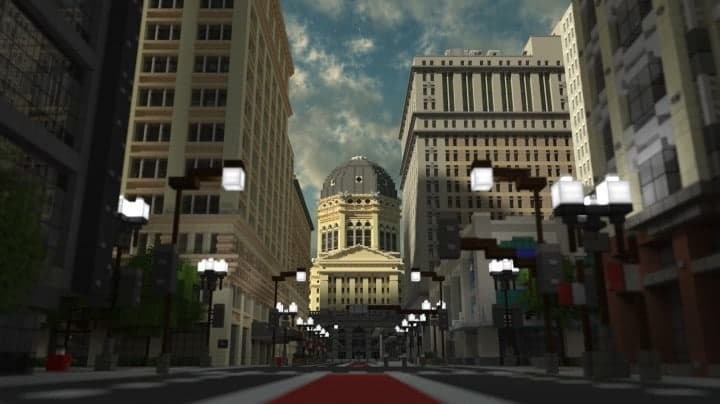 The Loop – Chicago Project’s texture pack download link is down below.